Wokingham Town Centre is currently mid-way through an extensive regeneration programme valued at C. £115m and will see an already vibrant town centre improved and underpinned through a multiple site, extensive improvement programme being undertaken by the local council. This new community has been planned to meet the needs of a cross-section of society, with a new primary school being built in the heart of the community, alongside plans for a new convenience store situated in a local centre which will also house other community-focussed retail outlets. The new homes at Embrook Place have been thoughtfully designed with contemporary living in mind and throughout this process, we pay attention to detail. This new community has been designed and is well situated to enhance the quality of life of its new residents. With excellent transport links and close proximity to the Town Centre, Emmbrook place residents have the opportunity to shop, entertain and also to learn local. The nearby Wokingham theatre is within walking distance of the site along with several sports facilities and recreational facilities. An array of local shops in the nearby vicinity along with the local schools, means that Emmbrook Place is a community that will serve the needs of its residents very well. Emmbrook Place is within easy access of the heart of Wokingham and close to the A329M, which takes you directly into Reading, approximately 6 miles away. Junction 10 of the M4 is within easy reach, taking you east, to London, the M25 and Heathrow airport and west, down to Swindon and South Wales. The M3 is approximately 10 miles away, giving you easy access again to the M25 going north and to Portsmouth, Southampton and the West Country going south. Reading has great transport links to London-Paddington approximately 30 minutes and Wokingham also a direct line to London-Waterloo approximately 1 hour. There is the RailAir service from Reading station to Heathrow airport. All of this will is also due to be enhanced by the forthcoming Crossrail Service into London Paddington by 2018/19. Emmbrook Place is less than two miles from Wokingham town centre with its wealth of independent shops and major High Street names. Ranging from Boots, WH Smith and Waitrose. For more shopping Reading Centre has a fantastic range of major retailers with John Lewis and Debenhams amongst the popular selection and the Oracle housing over 80 stores. Emmbrook Place is ideally situated for leisure activities. For outdoor pursuits Dinton Pastures is a short distance away and offers water sports, nature walks and play parks. Wokingham is well provided with great leisure facilities with a swimming pool and gym at The Carnival Pool and a fully equipped gym at St Crispin's. There is also a ten pin bowling at the Wokingham Superbowl near to Carnival Pool. For cinema goers, the multiplex Showcase Cinema de Lux in nearby Winnersh caters for all members of the family. For eating out, Wokingham has a great selection of eateries with something to please every palate. From pizzas to exclusive dining there is an extensive range of restaurants and cafes. Emmbrook Place is situated in close proximity of Emmbrook Junior School and Emmbrook School a mainstream state school for pupils aged 11-18, and is also close to The Holt an 11-16 girls and 16-18 co-ed comprehensive school and The Forest School catering for boys 11-16 with a mixed sixth form. At Emmbrook Place, Wokingham we are putting £26,412,000 towards schemes and projects to support the local community and we will continue to work closely with the council to deliver these improvements. 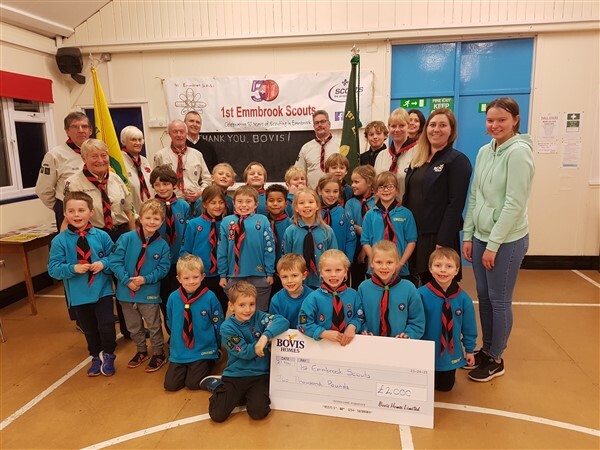 Wokingham’s 1st Emmbrook Scouts are celebrating the opening of an extension to their headquarters, thanks to local housebuilder Bovis Homes. 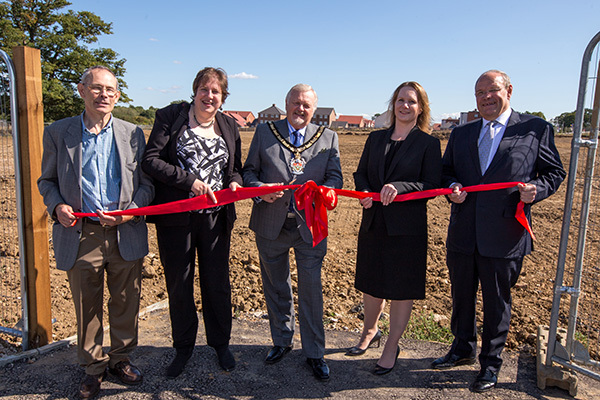 Another milestone has been reached in the latest phase of the new community centre and primary school in the North Wokingham Strategic Development Location. 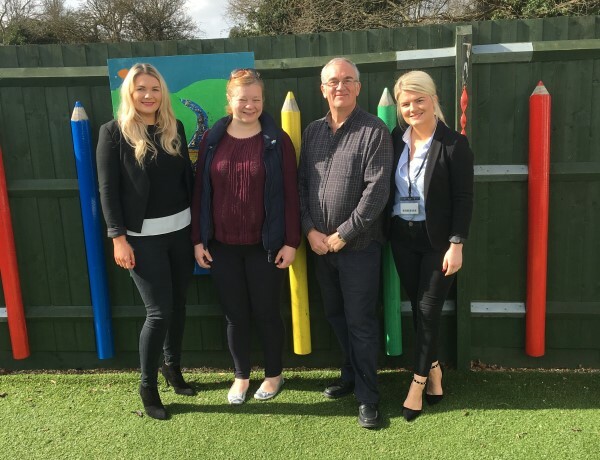 A long-term sponsorship deal between Bovis Homes' Southern Counties region and Wokingham based charity, Building for the Future, has been secured. You will see the development entrance on your left hand side. Enter via Eamer Cresent and follow the road around onto Yalden Close. You will find the sales office on your left hand side. The entrance to the development can be found on your right hand side. Take the turn onto Eamer Crescent and follow the road around onto Yalden Close. You will find the sales office on your left hand side.